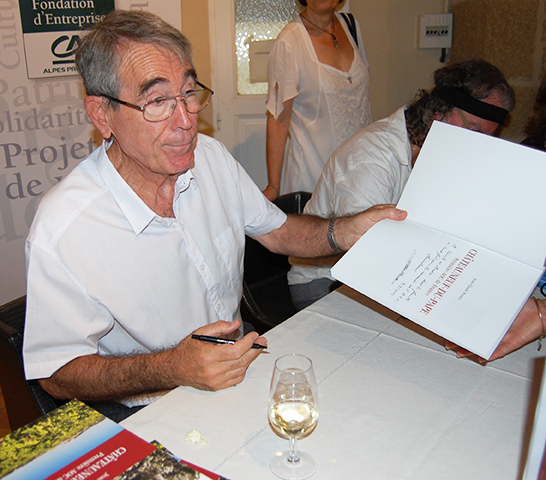 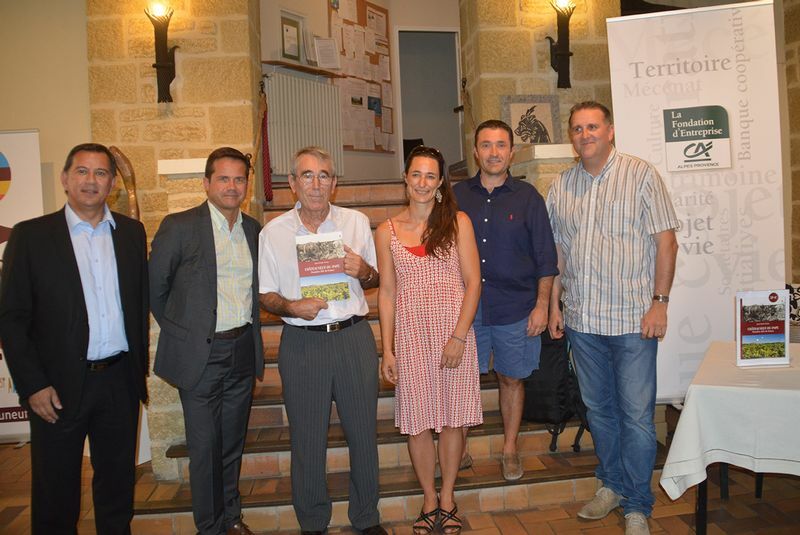 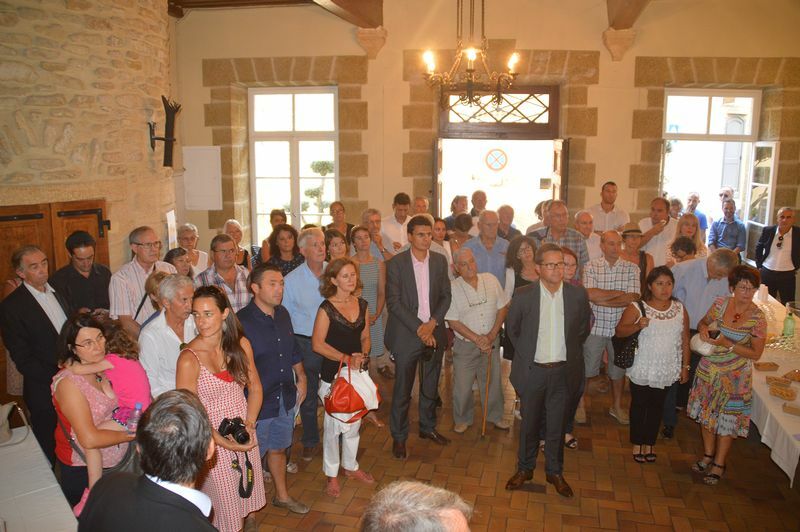 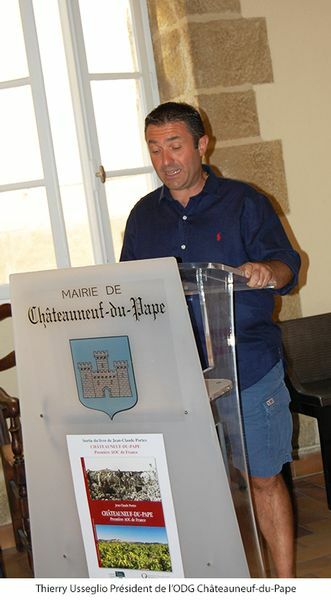 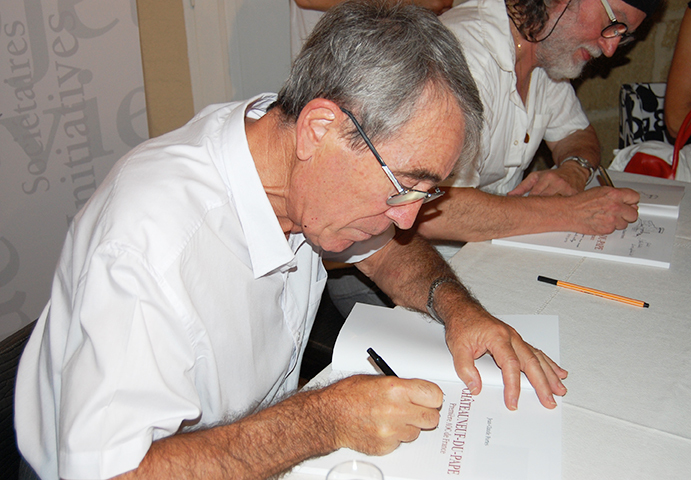 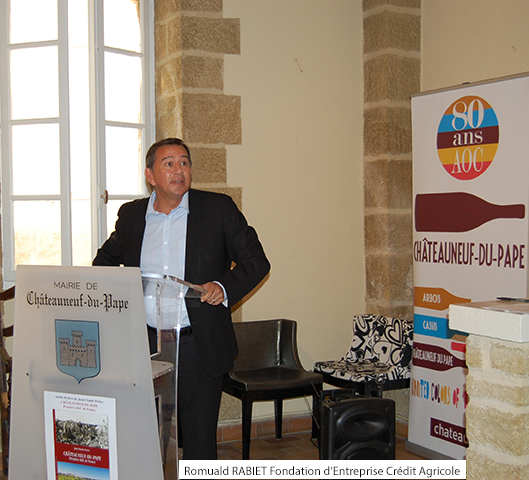 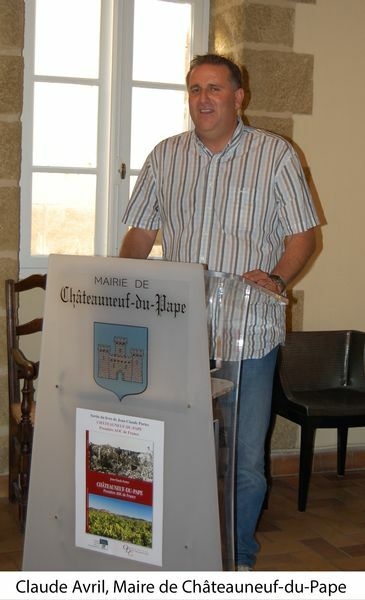 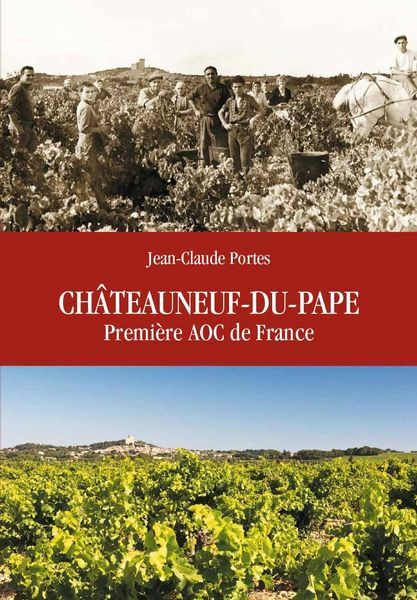 Mid-September, many winegrowers, inhabitants of Châteauneuf-du-Pape and friends of local historian Jean-Claude Portes gathered at the town hall to listen to the writer as he presented his latest book “Châteauneuf-du-Pape, First Controlled Designation of Origin in France”. 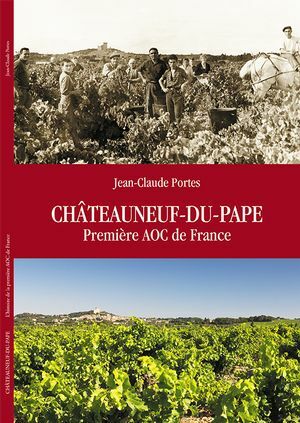 The book, published for the 80th anniversary of the creation of the Châteauneuf-du-Pape AOC (Appellation d’Origine Contrôlée), studies how Châteauneuf-du-Pape became such a great, much sought-after, internationally acclaimed wine, as well as the first wine AOC in France, by tracing back its history from the 17th century to nowadays. 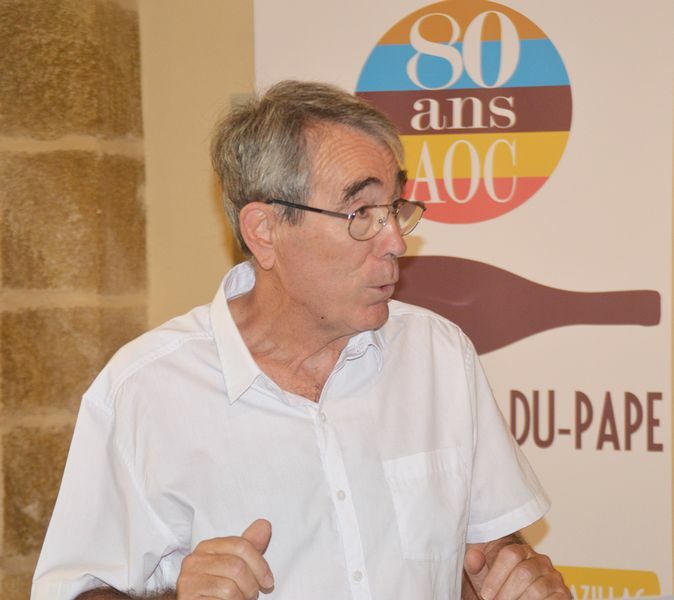 Everyone, from the Mayor Claude Avril to Thierry Usseglio, President of the Winegrowers’ Assocation, unanimously recognized the remarkable research work undertaken by Jean-Claude Portes.